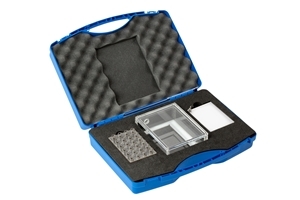 We have developed this re-usable 24-well glass microplate for high through-put respiration measurements in tiny aquatic organisms. 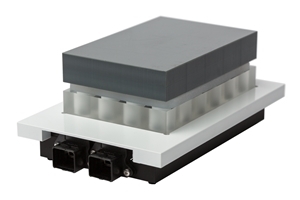 Each well is fitted with an oxygen sensor spot allowing for non-invasive optical oxygen measurements when placing the microplate on a special reader. By placing a soft silicone gasket on top a gas-tight seal is formed for respiration measurements inside the wells at any environmental temperature. 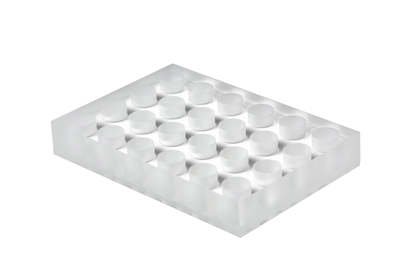 The sensor spots and glass microplate can be cleaned with chlorine, ethanol etc. between trials and re-calibrated and thus used again and again. 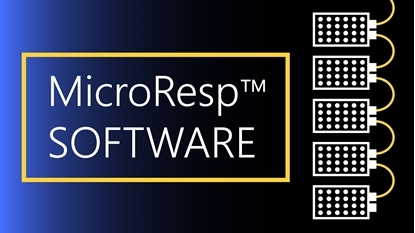 MicroResp™ is user-friendly software for Windows that will automate microplate respirometry, analyse respiration data, and get the most out of your oxygen microplate reader. 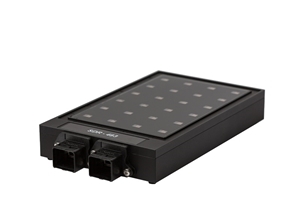 It replaces old and current programs entirely as this one piece of software handles device communication, calibration, data acquisition, analysis, and statistics. Hence, this software will save you a lot of time for experiments and post-analysis, and provide more accurate oxygen and MO2 data with a higher time resolution. Click here to watch a short tutorial for MicroResp™.